At ROSEY REDS FLORIST, we are more than just your average florist! Our flower and gift shop has been family owned and operated since 1989. In 2010, our shop added gifts and crafts to fill a unique and often-requested need. Our staff are resourceful and experienced in crafting gifts to meet all family occasions and life events. 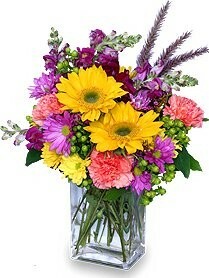 We provide flowers for all occasions. We will help you design a custom centerpiece, arrangement, gift basket, or holiday theme. Any thought, any time. Our crafts are made locally by inspired artisans. Local artists capture area history and monuments; local potters craft unique and functional memorabilia; local crafters capture tradition and Americana in centerpieces, mantlepieces, and wall decor. Our inventory reflects our available gifts but not all our possibilities and offerings. If you have a thought for your special need, please share it with us and allow us the opportunity to create something special. Our gifts are uniquely sourced and crafted for home or business decorative themes and include local crafts, art, pottery, quilts, wreaths, centerpieces, candles, soaps, and much more. We will customize your gift search and create baskets for all occasions. 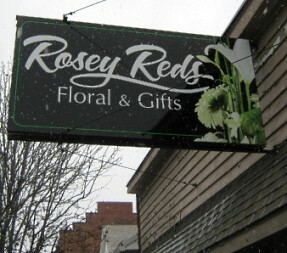 ROSEY REDS FLORIST is a professional local florist proudly serving Somerset, Ohio and surrounding areas. Our friendly and knowledgeable staff is ready to assist you when you need flowers delivered locally or anywhere in the world. For your convenience, we also offer daily delivery service to local hospitals and funeral homes. Whether your wedding or party is formal or casual… a small gathering or the social event of the year… we can help you plan an event that’s a "blooming" success! Call us in advance at 7407431199 to schedule your consultation.